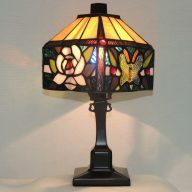 Cardinal stained glass accent lamp. 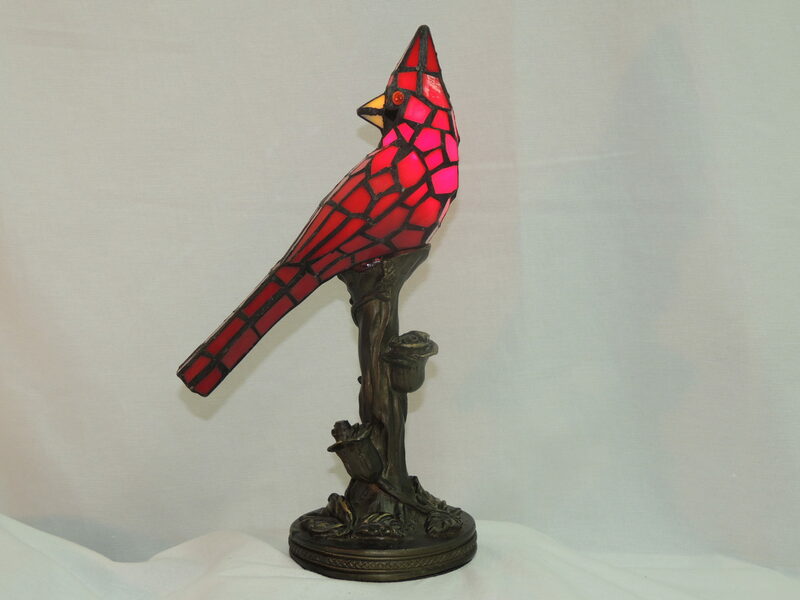 This Cardinal memory lamp is absolutely gorgeous. 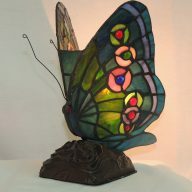 The hand cut red stained glass body with yellow stained glass beak and amber cabochon eyes, all combine for a stunning effect. 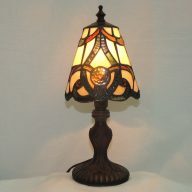 The wonderfully crafted base on this accent lamp is composite and finished in antique bronze. Wonderfully detailed floral leafs and roses wrap around and are climbing the base. In some cultures, Red Cardinals are considered messengers of the divine, and when seen, are believed to be a loved one visiting you who has passed. They are also believed to make appearances during times of celebration or despair to let you know they will always be with you. This beautiful gift of light is a thoughtful way in lieu of flowers to celebrate the life and memory of a loved one.